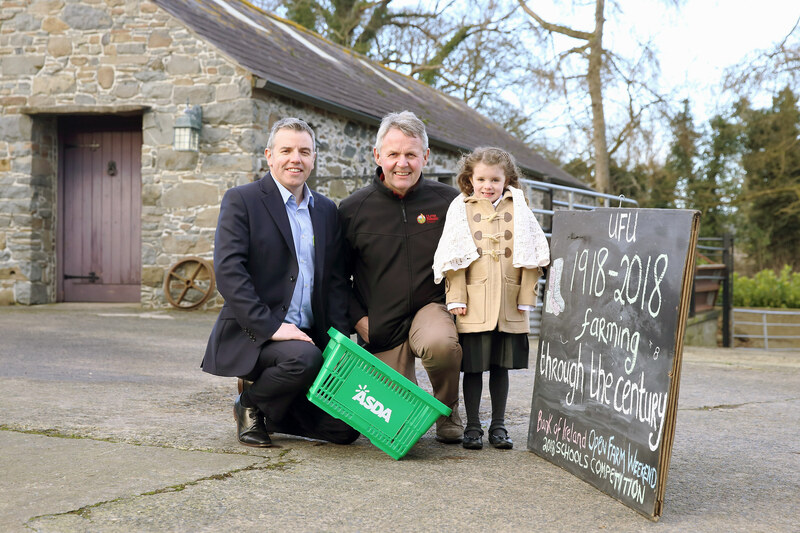 The Ulster Farmers’ Union, in partnership with Bank of Ireland Open Farm Weekend and Asda, are pleased to announce the winners of the 2018 ‘Farming through the century’ schools competition. The competition kindly sponsored by Asda was open to all nursery, primary and special schools across Northern Ireland. Pupils were asked to put their creative skills to the test around the theme, ‘Farming through the century’ with a range of prizes up for grabs. This year, the winning schools will also visit their nearest participating open farm on Friday 15th June to learn more about the ‘farm to fork’ journey. With over 3,400 entries received, this year’s competition was extremely difficult to judge and select the winners. “Our objective in the Ulster Farmers’ Union centenary year was to engage with the kids and get them thinking about farming and how it has changed over the past 100 years” said UFU President Ivor Ferguson. “The standard of all the entries make it clear the considerable amount of time and work that both the pupils and teachers put in to this competition and I would like to thank everyone that took part this year,” he said.